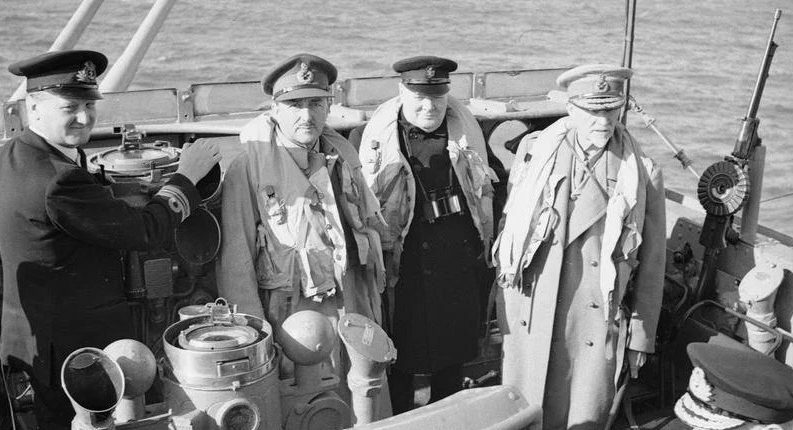 Stephen Napier, Churchill: Military Genius or Menace? Stroud, Gloucestershire, The History Press, 2018, 448 pages, $39.95, Amazon $25.44. After the US enters the war, we get ten chapters which could be entitled “Allies at War with Each Other.” They cover the already thoroughly researched acrimonious relationship between the political and military leaders of Britain and America. Here Mr. Napier provides a highly readable narrative, albeit concise, given the space he allows himself. We have snippets of what is to come in this part of the book, but only in the final chapter of the book does Napier release his slings and arrows. These include the following, along with the obvious rebuttals to them, most of which are hardly new. “Churchill caused the German invasion of Norway.” In February 1940 the German tanker Altmark, with 300 Allied prisoners of war, was boarded in Norwegian waters by the Royal Navy. To cries of “The Navy’s here!” its prisoners were released. Churchill, as First Lord of the Admiralty, had authorized the action. The successful outcome was a great boost to British morale, but hardly resulted in the German invasion of Norway. Records show that Hitler had determined his course of action as early as December 1939. “Churchill gave short shrift to Hess, who was sent in on a peace mission by Hitler.” On 10 May 1941, Deputy Führer Rudolf Hess flew from Germany to Scotland. Prior to his departure he wrote to Hitler, advising of his intention to open peace negotiations with the British. Hitler reacted furiously, stripping Hess of his position and ordering him shot on sight. An embarrassed Hitler even had to assure Mussolini that no peace negotiations were contemplated. This speculation about Churchill was made by Field Marshal Sir Alan Brooke (later Viscount Alanbrooke), who was appointed Chief of the Imperial General Staff in December 1941. Out of context, it sounds worse than it was. Brooke is quoted on the jacket: “Without him England was lost for a certainty, with him England has been on the verge of disaster time and again…Never have I admired and disliked a man simultaneously to the same extent.” That partly explains Brooke’s true attitude. 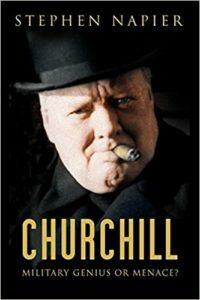 A difficult boss, Churchill continually urged aggressive action. Many of his ideas were impractical, and it was Brooke’s job to say so. But there was much more to their relationship. That little recollection packs more insight into the truth than all the speculations of revisionist historians born and unborn. What we have here, alas, is just another volume aiming to besmirch Churchill with unjustified conclusions.